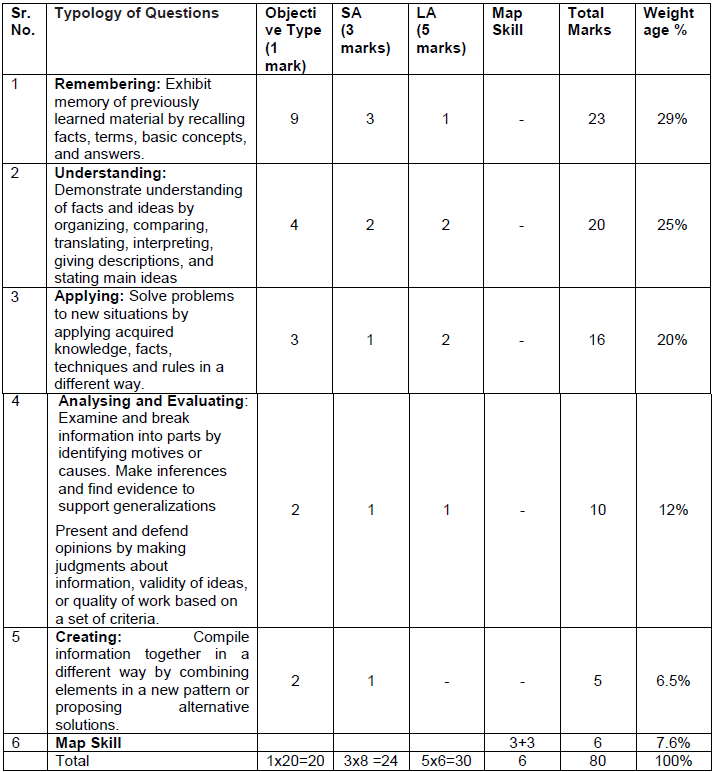 Latest syllabus for CBSE Class 9 Social Science is issued by the board for the new academic session 2019-20. Here you will know the complete course structure in detail and can have the right plan to go through it. In each of the themes in this unit students would get familiarized with distinct ideologies, extracts of speeches, political declarations, as well as the politics of caricatures, posters and engravings. Students would learn how to interpret these kinds of historical evidences. Familiarize students with the names of people involved, the different types of ideas that inspired the revolution, the wider forces that shaped it. Know the use of written, oral and visual material can be used to recover the history of revolutions. Explore the history of socialism through a study of the Russian revolution. Familiarize students with the names of people involved, the different types of ideas that inspired the revolution. Discuss the critical significance of Nazism in shaping the politics of modern world. Get familiarized students with the speeches and writings of Nazi leaders. Discuss the social and cultural world of forest communities through the study of specific revolts. Understand how oral traditions can be used to explore tribal revolts. Highlight varying patterns of developments within pastoral societies in different places. Analyse the impact of colonialism on forest societies, and the implication of scientific forestry. Show the different processes through which agrarian transformation may occur in the modern world. Analyse the impact of modern states, marking of boundaries, processes of sedentarization, contraction of pastures, and expansion of markets on pastoralism in the modern world. Identify the location of India in the Indian subcontinent. Understand the major landform features and the underlying geological structure; their association with various rocks and minerals as well as nature of soil types. Identify the river systems of the country and explain the role of rivers in the human society. Identify various factors influencing the climate and explain the climatic variation of our country and its impact on the life of the people. Explain the importance and unifying role of monsoons. Explain the nature of diverse flora and fauna as well as their distribution. Develop concern about the need to protect the biodiversity of our country. Analyse the uneven nature of population distribution and show concern about the large size of our population. Identify the different occupations of people and explain various factors of population change. Explain various dimensions of National Population Policy and understand the needs of adolescents as underserved group. What is our System of Elections? How is the major policy decision taken? Develop conceptual skills of defining democracy. Develop a sophisticated defense of democracy against common prejudices. Develop a historical sense of the choice and nature of democracy in India. Understand the process of Constitution making. Recognize Constitution as a dynamic and living document. Understand representative democracy via competitive party politics. Familiarize with Indian electoral system. Reason out for the adoption of present Indian Electoral System. Recognize the significance of the Election Commission. Get an overview of central governmental structures. Identify the role of Parliament and its procedures. Distinguish between political and permanent executive authorities and functions. Understand the parliamentary system of executive’s accountability to the legislature. Understand the working of Indian Judiciary. Recognize the need for rights in one’s life. Understand the availability /access of rights in a democratic system/government. Identify and be able to comprehend the Fundamental Rights given by the Indian Constitution to its citizens. Create awareness regarding the process of safeguarding rights. Familiarize with basic economic concepts through an imaginary story of a village. Understand how population can be as asset or a liability for the nation. Understand poverty as a challenge. Appreciate the initiatives of the government to alleviate poverty. Appreciate and analyse the role of government in ensuring food supply. 1. Every student has to compulsorily undertake one project on Disaster Management. (d) Enable them to create awareness and preparedness among the community. 3. The project work should also help in enhancing the Life Skills of the students. 4. If possible, various forms of art may be integrated in the project work. 7. The project carried out by the students should subsequently be shared among themselves through interactive sessions such as exhibitions, panel discussions, etc. 8. All documents pertaining to assessment under this activity should be meticulously maintained by the concerned schools. 10. It is to be noted here by all the teachers and students that the projects and models prepared should be made from eco-friendly products without incurring too much expenditure. 11. 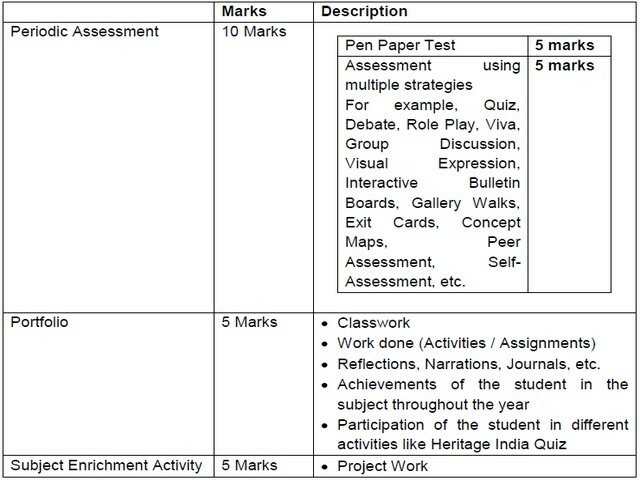 The Project Report should be handwritten by the students themselves. 12. The record of the project work (internal assessment) should be kept for a period of three months for verification, if any.